We are on the verge of another long holiday weekend in the US, which means another opportunity to save on the paint, stain and wallpaper for that upcoming redecorating project. 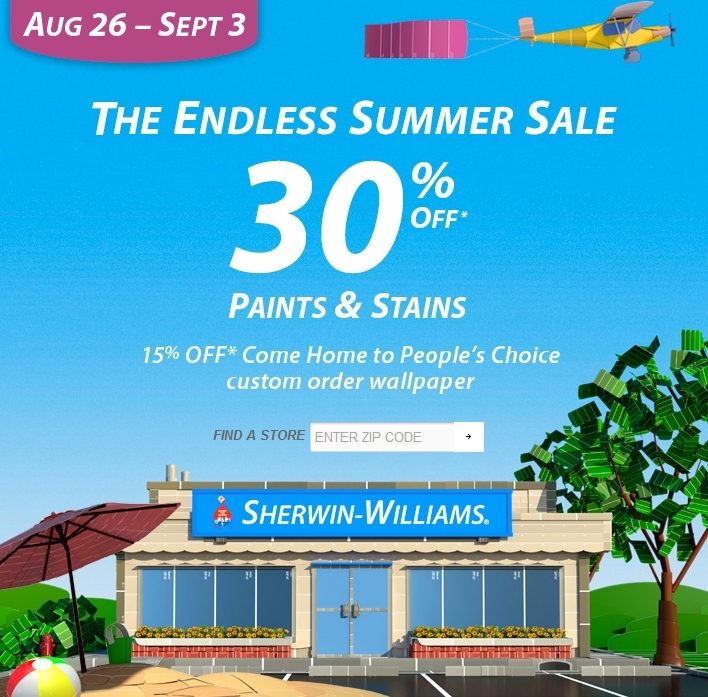 From now through September 3, 2012, you can save 30% on paints and stains and 15% on selected custom-ordered wallpaper – just in time for those long-weekend projects! What will you be working on this weekend?